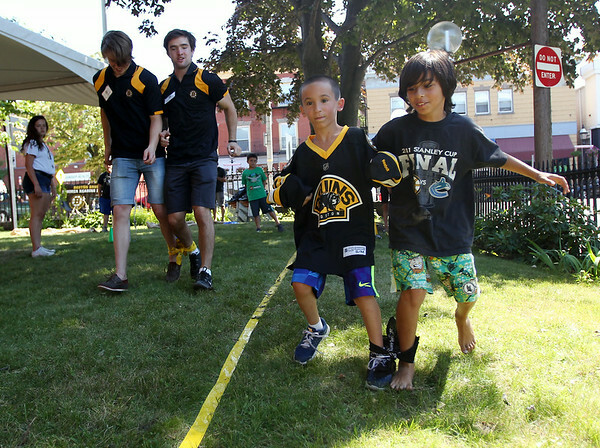 Seven-year-old Anthony Costanzo, left, and nine-year-old Marco Schirripa, both of Peabody, race ahead of Boston Bruins prospects Simon Norberg, and Michael Doherty, during a three-legged race on Friday afternoon. DAVID LE/Staff photo. 7/11/14.